New Orleans is internationally known for its wonderful cuisine that is a magical blend of our historic culture. 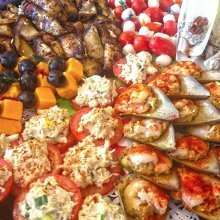 All of our recommended caterers below specialize in creating delicious New Orleans delicacies that your guests will devour. 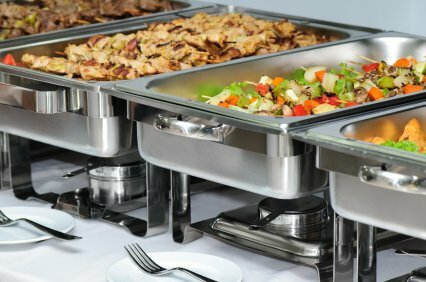 Be sure to review our catering tips for a list of questions to ask before contacting a caterer. 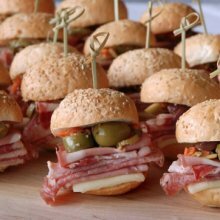 Ralph Brennan Catering & Events can accommodate any size, theme or individual in virtually any location. They truly provide full-service custom catering. 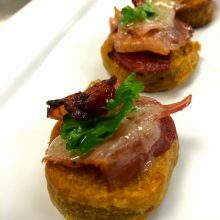 Each and every event and menu is custom crafted to satisfy your palate, theme and budget. Whether you are planning an intimate gathering, a corporate event, or a tailgate, the consultants at Pigeon Caterers, the official caterer to the New Orleans Saints, will work with you step by step, to ensure that your event is a memorable one. Their commitment to your satisfaction is evident from the moment you call until the last guest has left the party. For over 20 years Cello’s has been catering parties, events, holiday festivities, weddings and office functions throughout greater New Orleans. You can trust Michael Marcello and his family to create an unparalleled custom menu. His signature style starts with exploring the hosts’ needs and flavor palette and finishes with a mouthwatering and memorable meal. 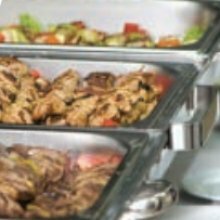 Let Oceana do the cooking for your next party with trays of delicious food. They can help with everything from the cooking to the serving - as little or as much as you need. Want even more ease? Book one of their private rooms that accommodate up to 150 guests.